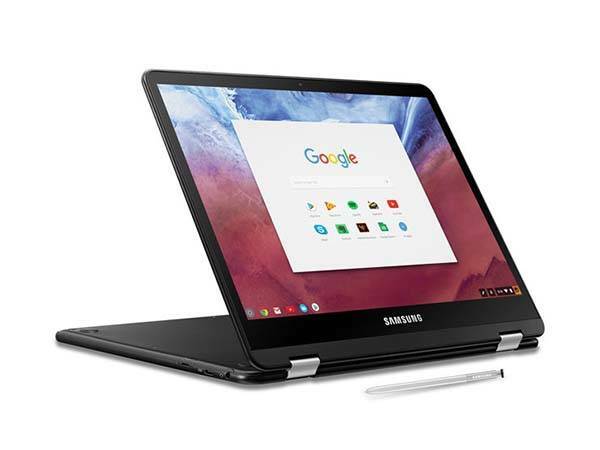 Samsung unveiled its Chromebook Pro in January, now the touchscreen Equipped Chromebook has been available. Using the 360-degree rotating screen and an included stylus, it’s trying to provide a better mobile platform for work, study and entertainment. 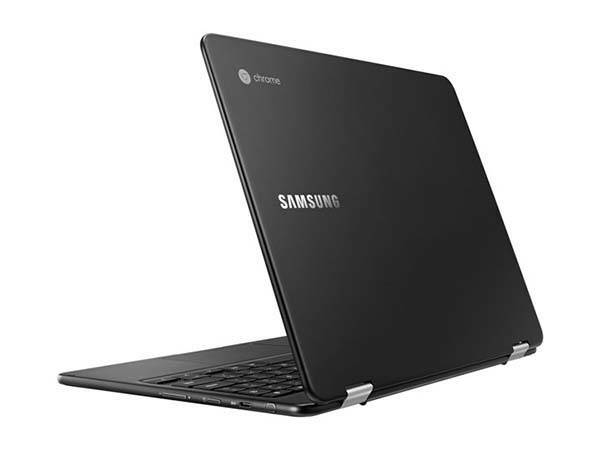 Samsung Chromebook Pro measures 11.06 x 8.72 x 0.55 inches and weighs 2.38 lbs. As we can see from the images, the chromebook sports a low-profile, minimal and elegant appearance design, and its metal body delivers a durable construction that withstand daily tear and wear. Meanwhile, the slim form factor and lightweight design allow you to carry it as a tablet. The Chromebook Pro is powered by Intel Core m3 0.9GHz processor with 2.2GHz Turbo Boost mode and 4MB L3 cache and has 4GB RAM and 32GB ROM with a microSD card reader so it’s powerful enough to run multiple apps at once, smoothly play HD videos and run various games with ease. Furthermore, the Chromebook Pro also features a 12.3″ touchscreen LED display with 2400 x 1600 pixels, and it’s rotatable 360 degrees for different demands. Moreover, an included stylus lets you doodle, sketch, or write on the Chromebook. Using its full-size keyboard and trackpad, you can comfortably deal with your emails, documents and more. In addition, its rechargeable battery offers up to 9 hours of use between charges. 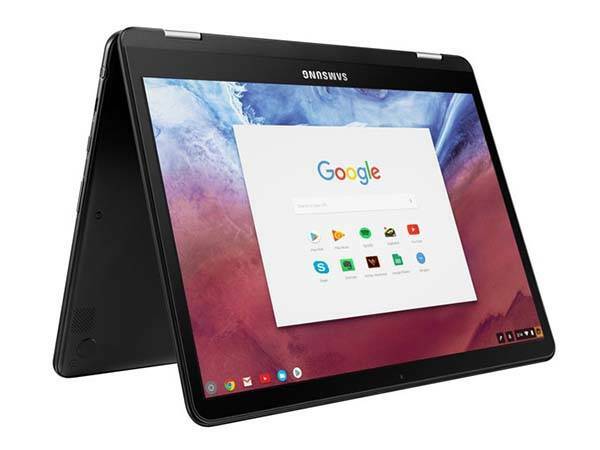 Samsung Chromebook Pro is priced at $549.99 USD. If you’re interested, jump to Samsung official site or Amazon for its more details. BTW, don’t miss Flip C302 Chromebook and more cool related gadgets by following tags.